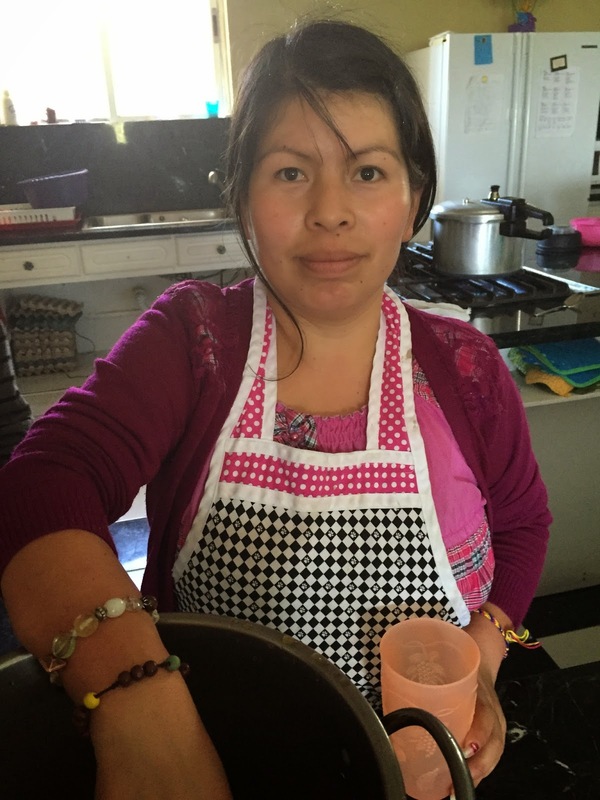 My friend Denise took another amazing trip to Guatemala. 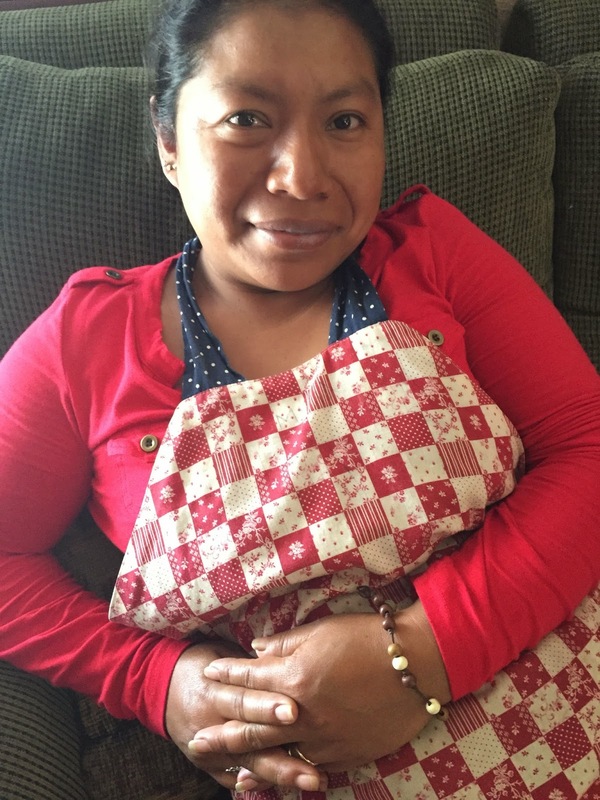 What an honor to have Healing Knots join her on this amazing mission of love and compassion. She shared this with me yesterday. 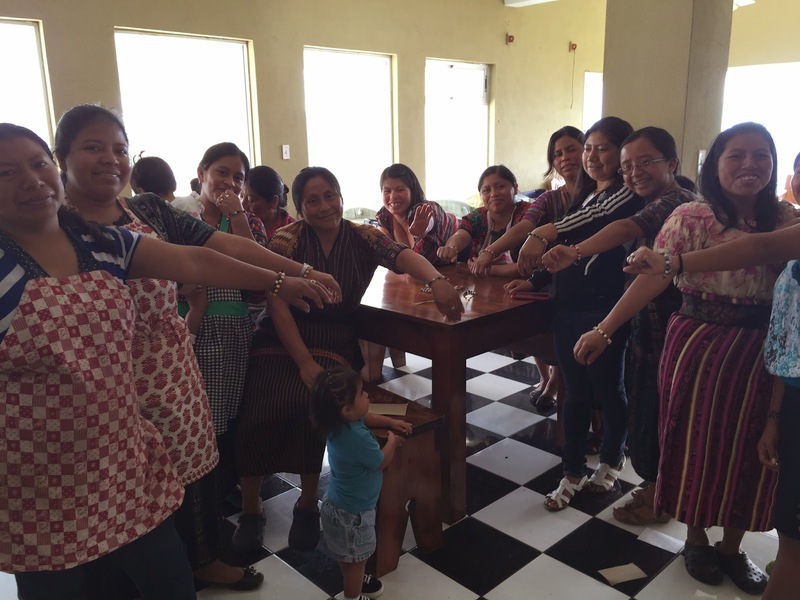 "I just wanted to share about the beautiful Healing Knots bracelets making their way to Guatemala last month. For the past four years, I have served at Eagle’s Nest Children’s Home for the month of January. Last year sweet Corinne sent me with bracelets to give to the “Mamas” that help take care of the 48 children that are at the Home. Since my Spanish is not the best, I had someone translate last year so they would know the story behind the bracelets. It was cool to see a few of the Mamas wearing the bracelets from last year. I noticed Antoinette was wearing the one that I had given her last year which was pretty cool… She had no idea I had brought them again this year (different colors). Although I usually wait till the end of my trip to give out “gifts,” this year I decided to hand out the bracelets early. Losing a loved one, grieving, healing, and the long process of a heart healing is universal. 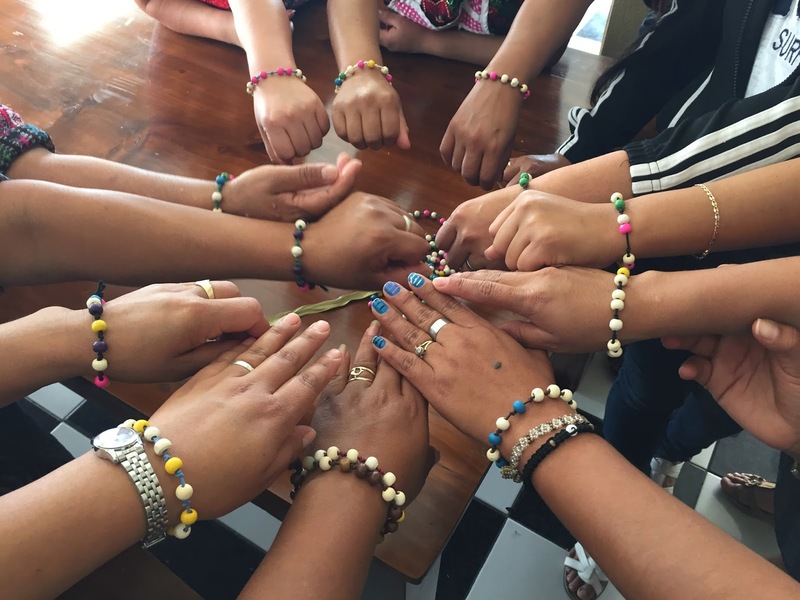 I was honored to share the story behind the bracelets again this year for the new Mamas at the Home. A simple bracelet that reminds us to pray, share, love, laugh and give away if our heart is led to do so. Afterwards, I tossed them on the wooden table for them to pick one out. They took their time looking at colors, trying them on, some did a little trading before it was all said and done. Thank you Corinne for being such a friend, for your passion to help others heal, pray, and love with these bracelets. 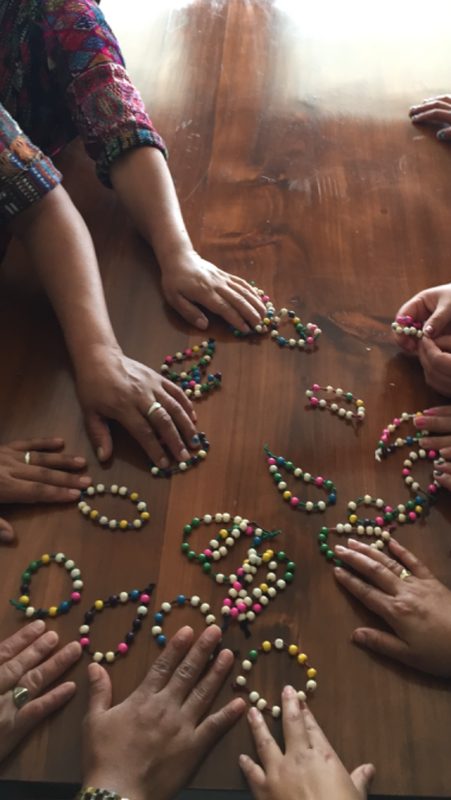 Hearts are being touched by the story behind the bracelets and I consider it a blessing to share them in Guatemala."